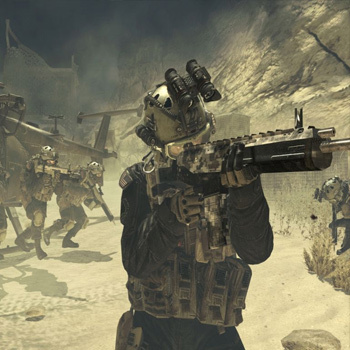 Modern Warfare 2 continues the gripping and heart-racing action as players face off against a new threat dedicated to bringing the world to the brink of collapse. An entirely new gameplay mode which supports 2-player co-operative play online that is unique from the single player story campaign. Special Ops pits players into a gauntlet of time-trial and objective-based missions. Rank-up as players unlock new Special Ops missions, each more difficult.